Club drugs, like ecstasy (MDMA) and other party drugs can cause serious health issues that even result in death. This is according to research supported by the National Institute on Drug Abuse (NIDA). 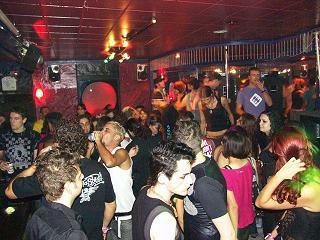 In the club atmosphere, drinking and drugs consumed in combination, makes it even more dangerous. MDMA, GHB, Rohypnol, Ketamine, methamphetamine and LSD are some of the more popular drugs on the party scene. These club drugs are used by young adults to stay up all night and dance at parties, such as ‘raves’ or ‘trances’, dance clubs and bars. Don't be fooled. These drugs are not harmless. Chronic abuse of MDMA for example appears to produce long term damage to the serotonin neurons in the brain. Serotonin is important for regulating emotion, memory, sleep, pain, and higher cognitive processes, so it’s likely that ecstasy causes a variety of behavioral and cognitive problems as well as impaired memory. Some party drugs can be slipped to you and you may not even know it, because they’re colorless, tasteless and odorless. They're usually added to your drink, and you become intoxicated or sedated. No one would think twice if they saw someone leave a club with another who is drunk or sedated, and due to an an increase in club drugs, police report an increase in sexual assaults. The only thing you can do about it is beware. Don't think it can't happen to you. I've seen it - usually among college girls, who've found themselves in a strange apartment, hotel room, or dorm, and they don't remember a thing. Problem with teens and drugs?? Drug Problem? Your question is free. And if you'd like information on recovery coaching, or a personal consultation here's everything you need to know.